It's fantastic to have you with us and I'd like to take this opportunity to offer you a personal, warm welcome. Please read the information below as it contains an important (one time only) step to complete the registration process. Please register your details here as this enables us to email you with additional membership benefits, free eBooks, special reports, exclusive videos, free pet product opportunities & a whole range of extra membership benefits. We have to ask you for your permission to allow us to email you and, as you’re a K9 Magazine Premier member, you really don’t want to miss out on these extra member benefits. Your data will only ever be used by us. We don’t sell it, rent it or let anyone else use it. This relationship is just between us & you. Thank you. Please note: We ask for your address details and information about your dog so that we can best tailor the types of free dog products, gifts and services to offer you. Our aim is to ensure all aspects of your membership are enjoyable, informative and easy to access. With that in mind you will only see this welcome page once. 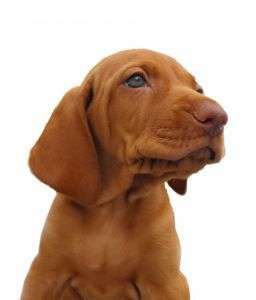 In future when you log in you will be automatically directed to your personal member's only dashboard which contains quick, direct links to the latest digital editions of K9 Magazine, your members-only eBooks and special reports as well as other canine content from the extensive member's library. Using the website is as easy as A.B.C. If you are interested in a specific canine topic, our enhanced search function (top right hand corner) will actually begin sifting results whilst you type. So, for example, if you're seeking advice on a particular dog training topic - such as separation anxiety - just begin typing it in the search box and wait a few seconds. We've got many thousands of articles on a wide variety of canine topics - so in order to make access to all of that content easy to find, we will add links of interest to your Member's Dashboard page for speed of use. As a K9 Magazine Premier member you automatically receive FREE memberships to a number of our other services as well as some bonus benefits that we'll let you know about over the course of your subscription. Here's to your continued enjoyment!